Rinnai burner which is made from brass, cost 2$ US. This is for the regular fast moving rinnai portable gas cooker. Any different models probably cost more. Old model likely pricy couse of availability and product continuity. It's better to buy new gas cooker if your old stuf is just too old. For gas stove under $100, there are 2 kind of flame ignition. Magnetic or mechanic ignition and electric ignition. Both have their own benefit. Electric ignition is silent, so there is no sound when you turn on your stove, but you need battery as an exchange. The other hand, magnetic ignition don't need any batteries, but it sound lound to start burning. The weakness of electric ignition, the pin to make spark is located so close to the burner, that made the pin heaten while cooking. Sometime that make the spark won't turn on. With magnetic ignition, the pin located far from the burner, but it need some sprayer to send flame to the burner. Sometime, the sprayer don't work properly. Magnetic ignition is easier to maintain, because it do not need any electrical instrument. Electronic instrument rather difficult to find. For gas stove bellow $100, you prefer use the magnetic / mechanic ignition. Your gas stove mechanic ignition doesn't work? Well, thats happened when your gas stove have been used for more than one year at least. Many of the malfuctions usually caused by the part that trigger electric spark. In the machine, down bottom of it, there is a screw you need to open to get the broken part out. Next to coil springs, there a metal that produce electric ignition. It look like the "L" leter. If it broken, the shape will be "I" shape. The knop cannot reach that metal because of it. All you need to do is only replace that part. Panalux Gas regulator is entry level gas regulator which has low price and relatively low quality also. Panalux it self produce many kind of household appliance, not produce maybe..., just give a brand on many chinese product i believe. Since gas regulator demand increaced rapidly, many companies jump into this business. Many of them just rebranded what is already available in the market with their own brand. 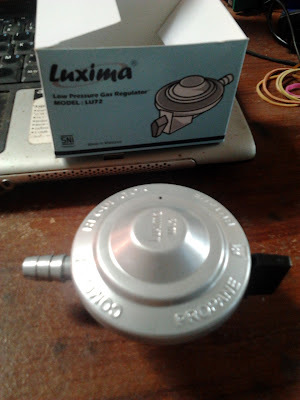 Luxima Gas regulator is low pressure gas regulator made in Malaysia. There are many varian, but the most popular are LU 72 and LU 77. LU 72 itself has some varian, such as LU 72, LU 72G, and LU 72G FS. The "G" stand for availability of pressure indicator, and FS mean that regulator include hose on sales package. In Wikipedia, the correct word to describe appliance that using burning gas to cook is Gas Stove. In some countries, large gas stove is popularly used, and they call it Range, base on Macmillan Dictionary. 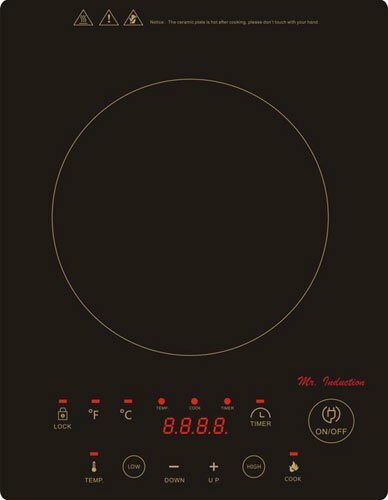 This blog cover wide range of gas cooker, including gas stove, range, oven, gas regulator, hose, and many others. The brands also multivariance.Some brands not always available in every country.